I had to have the Mr. Rogers Funko. My daughter and I were visiting family in Everett, Washington. Famous for roller derby and its proximity to other things, Everett has become a mecca for collectors of Funko figurines. Soon after our arrival we were taken to see Funko's Everett themed wonderland. While the plastic figures are mainly based around the popular characters of scifi, fantasy and adventure tv and movies ala Star Wars and the Marvel Confusing Universe, some are Funko originals based around invented lands like the Wetmore (a street in Everett) Wilderness or something like that. Anyways, lots of streets in Everett have Funko-made totems. Interesting, but maybe not useful to know. I was interested to see Funko but after .3 of a second I had enough. I must resist plastic knick knackery for my home. My daughter fell in love with some really cute Star Wars tee-shirts, but man those Pops were not calling to me. Then I saw the Mr. Rogers one. 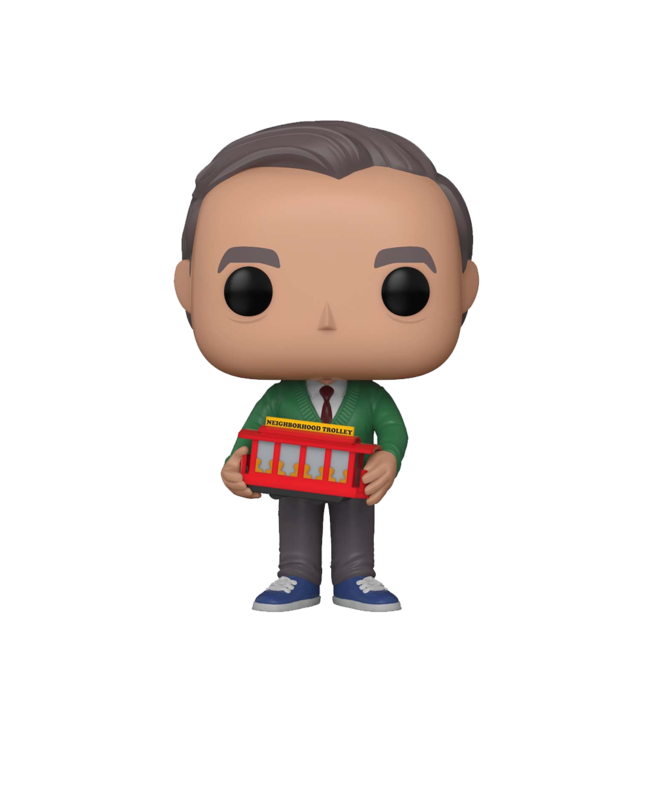 Now I have the Mr. Rogers one. It is super cute and hey, Mr. Rogers! The eyes somehow work. I did manage to make it all the way home, and a week away from the place before I gave in and ordered one.